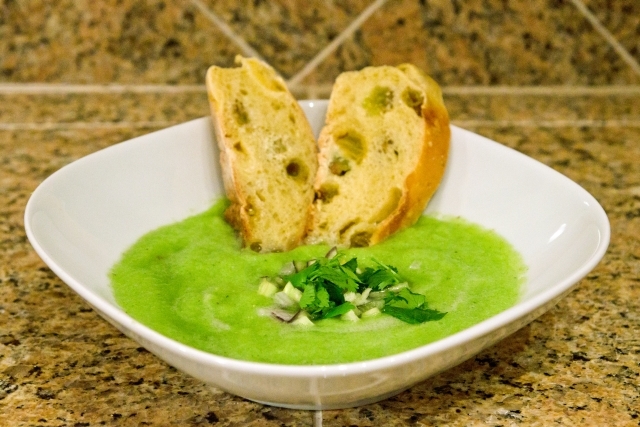 This gazpacho capitalizes on the best that early summer produce has to offer. Combine green tomatoes, cucumbers, garlic, cilantro, and mint in a blender adding enough water to create a smooth consistency. Serve garnished with diced purple peppers and onion.